Innovate UK has awarded a £2 million pound contract to Bath-based company, Atlas Genetics, for its diagnostic instrument (io System) and how to best adopt it into UK sexual health clinics. Atlas’ io system is a molecular diagnostic platform that rapidly diagnoses a broad range of infectious diseases. According to an Atlas spokesman, it offers results within 30 minutes, allowing clinical professionals to perform infectious disease tests that are as accurate as those carried out in hospital laboratories. The two-year contract will allow Atlas Genetics to collaborate with Aquarius Population Health, an independent health economics consultancy, and the Applied Diagnostic Research and Evaluation Unit (ADREU) at St George’s, University of London where they will research the benefits of point-of-care testing for sexual health. The company wants to further understand how to best integrate its io system into UK sexual health clinical practices and expand its research into diagnostic pathways within sexual health. The funding will also help Atlas develop its Multi-STI (MSTI) test ahead of clinical trials. The first of the various studies and evaluations conducted by St George’s using the io system started mid-2015. Atlas have collaborated with St George’s on variety of other projects including i4i, phase 1 of the Small Business Research Initiative (SBRI) project, and have also performed the company’s clinical trial for the CT product, eSTI2 project. “The (IO) system is not yet commercially available, so while nobody is using the system for patient diagnosis yet, a number of clinics have used the system in a range of different evaluations and usability studies – St Mary’s, Portsmouth, Taunton, Royal South Hants and in the US, University of Alabama, Birmingham”, the spokesman said. Tariq Sadiq, director of the applied diagnostic and research evaluation unit at St George’s reinforced that it is an innovative approach to better understand and overcome the often complex and substantial challenges to getting cutting-edge technology adopted into the NHS. 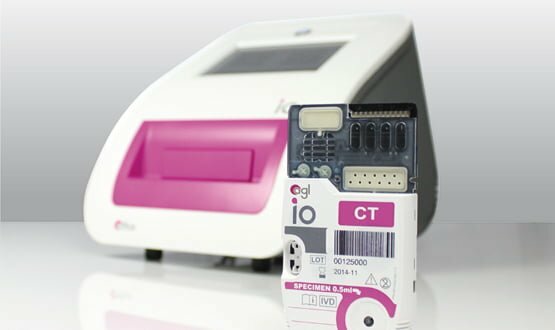 “We believe that there are real benefits to using the io rapid diagnostic platform as patients will be able to receive the appropriate treatment immediately and thereby reduce onward transmission, and ultimately save the NHS time and money”, Sadiq said. Clinics will be able to get patient results in 30 minutes. “This has numerous benefits including reducing loss to follow-up, immediate treatment of positive patients, less empirical treatment / better antibiotic stewardship and reduction in onward transmission and improvement in the patient experience”, the Atlas spokesman said. John Clarkson, chief executive officer of Atlas said Innovate UK’s commitment to introducing new, pioneering approaches to healthcare validates both their technology and leading role in molecular diagnostics. 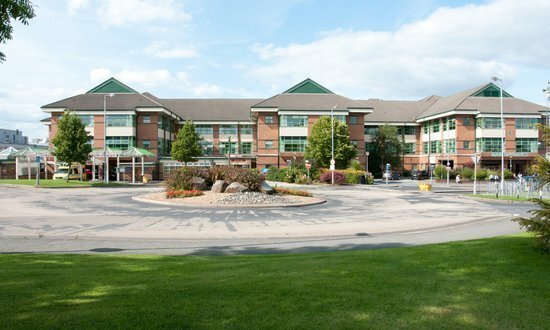 Bolton NHS Foundation Trust has signed with Allscripts in a multi-million pound electronic patient record (EPR) deal.